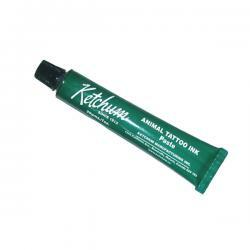 Green Tattoo Paste | Ketchum Mfg. 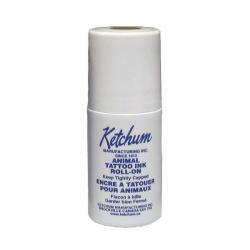 Co. Inc.
5 oz. 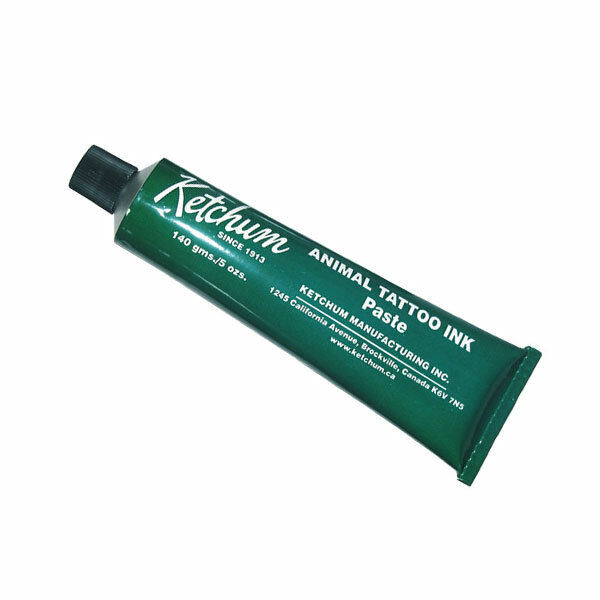 tube of GREEN animal tattoo paste. Clean and dry area to be marked. Apply a coating of ink to cleaned area. Make imprint with tattoo instrument. 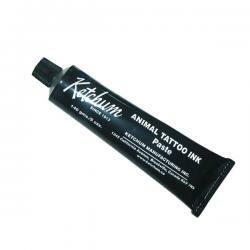 Thoroughly rub more paste ink into punctures to insure a proper, lasting tattoo. 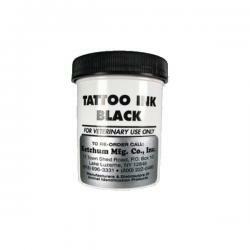 New Black Animal Tattoo Paste in a 5 oz. tube.